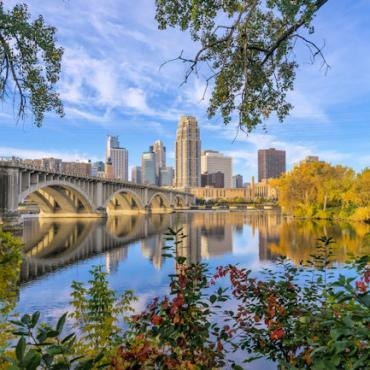 Minneapolis is the largest city in Minnesota. It lies on both banks of the Mississippi River and adjoins Saint Paul, the state's capital. 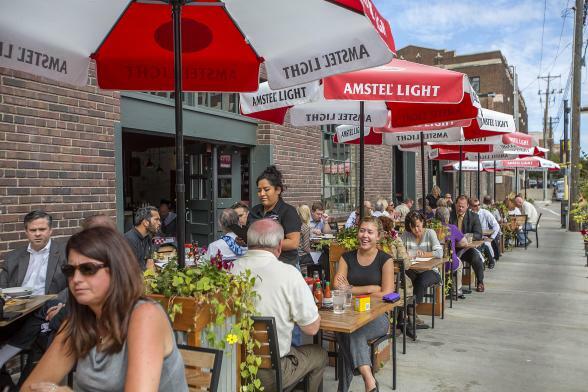 Known as the Twin Cities, these two progressive areas form the core of Minneapolis-St. Paul. 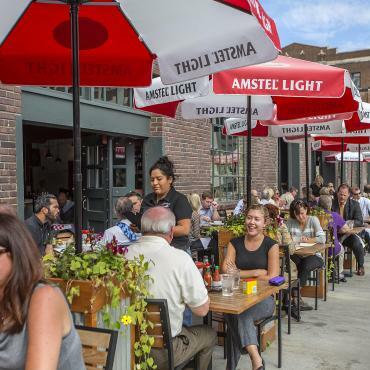 Unlike many other large American cities, downtown Minneapolis has a lively mix of business, entertainment and residences ensuring that it's alive around the clock. The region is second only to New York City in live theatre per capita and is the third-largest theatre market in the U.S. You'll find all the attractions, events and excitement of a major metropolitan area, without the hassles as it is compact and easy-to-navigate. 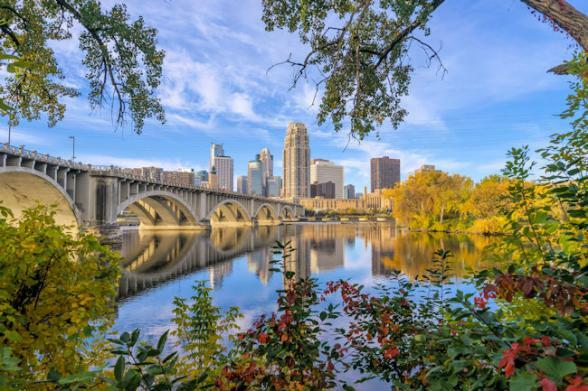 The Minneapolis park system has been called the best-designed, best-financed, and best-maintained in America. Foresight, donations and effort by community leaders enabled Horace Cleveland to create his finest landscape architecture, preserving geographical landmarks and linking them with boulevards and parkways. The city's Chain of Lakes is connected by bike, running, and walking paths and used for swimming, fishing, picnics, boating, and ice skating. A parkway for cars, a bikeway for riders, and a walkway for pedestrians runs parallel along the 52 mile route of the Grand Rounds Scenic Byway. An American Queen Steamboat Company Upper Mississippi cruise is a journey to the heart and soul of America, back to a time when life moved a little slower and riverboats slowly churned the waters. There are holidays and there are adventures. This 21-night journey through Idaho, Montana, Wyoming and the Dakotas is pure adventure.